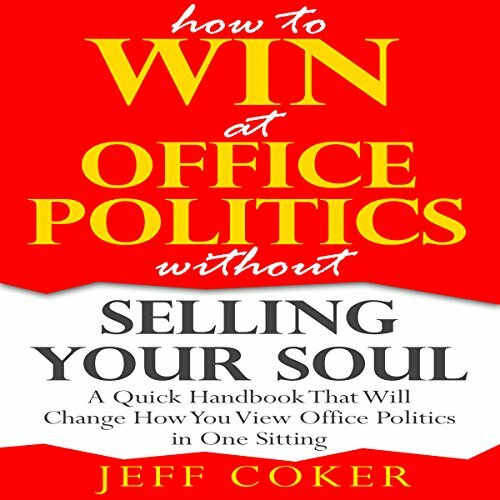 In this short book, author Jeff Coker shares his secrets for developing and utilizing political skills to get more done at work. Take a look at the success formula at work. What defines "success" in your workplace? Once you understand the social landscape and how political capital works, then you can learn how to audit your own situation and make an action plan to improve your political skills. This book is not worth using. Save your money, not worth buying! Rehash of better books. Buy something else! Thi is basically a pamphlet! Very short and not informative enough. Readers seek out such books looking for advice to help with our real-life problems. Wish it had more content. Be wary of shirt books like this. When the book ended, I thought this is it? It left a worse aftertaste than Abridged books of famous works. Gives talking points to follow up with. Fast talking book. Will give you some ideas to begin with.